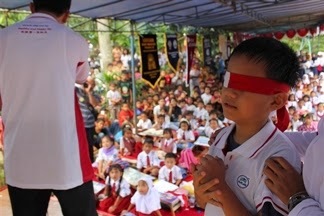 Home» blindfold training» brain gym» MCB» Super Great Memory Program» Super Speed Reading Program» QUANTUM SPEED READING or SUPER SPEED READING ?? QUANTUM SPEED READING or SUPER SPEED READING ?? what is the difference between Super Speed Reading and Quantum Speed Reading ??? 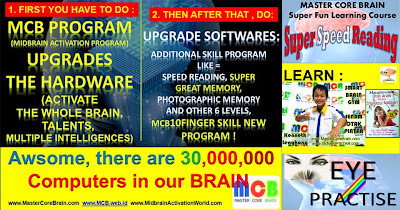 Super Speed Reading is one program step by step to read faster 3 up to 5 times than usual, then after getting some practical classes within 2-3 months (to install the all meanings from the book to the Long Term Memory) so people can be expert in mastering the Super Speed Reading technique. after you read this explainations, we will add more info about the famous and misterious Shichida Technique Quantum Speed Reading ,etc for age below 4 years old (we say this is still mysterious because we know Japan will not crack their techniques they made, and we respect that), even in Indonesia there are 2 Shichida Centers, they only teach children to do some attractive useful techniques for the kids with age below 4 years old. 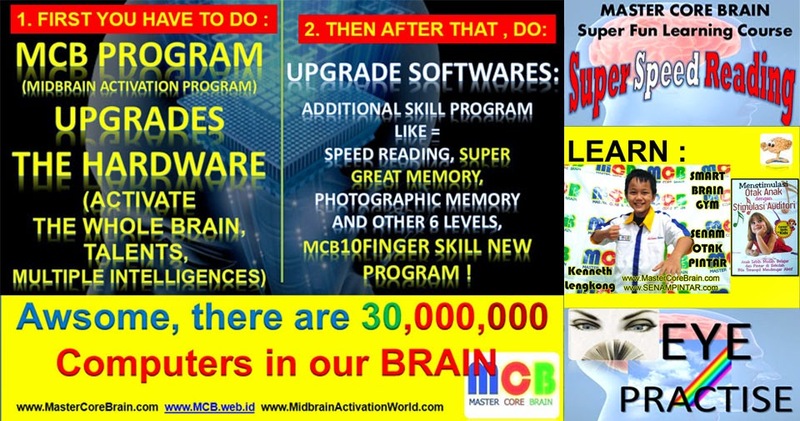 are you looking for this Super Speed Reading Method Training Program in this 2015 ? Whatsapp: +6285213118462 ,and +6281806048846 . In the information age, as now, we can get information from almost anywhere. 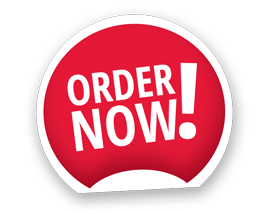 Ranging from the conventional such as books, newspapers, magazines, or tabloids to electronic documents such as e-book, website, blog, electronic encyclopedias, the search results on the Internet, and so many other sources. Imagine the amount of information, it takes the ability to sort out which information is important and what is not. A certain amount of information required will be invaluable. While too much information without sorting will only be garbage. The ability to absorb and master the information which has been rapidly and effectively become the key to success in the era of information explosion. You will be the master and not the slave of information. As explained in the beginning, we have entered the era of information explosion where there are so many sources of reading. On the one hand it helps to know what we want to know. But on the other hand too much information makes us confused what is important and where ya gn not. Where the relevant information to be learned and which will only waste time without a significant benefit. The ability to read quickly is useful when you want to decide whether a book, document or reading material is a material that is important and relevant for you or not. Imagine when you come to the bookstore, there are a variety of titles that look interesting and necessary. But is it really? Or perhaps just a small part of the book that is qualified and will bring a lot of benefits if you read it through to completion. If you have mastered reading quickly, then the decision to sort out important information and that can not be done more easily and quickly. The trick is to read quickly and at a glance titles, subtitles, table of contents, backyard, preface and quickly catch a glimpse of the titles of his chapters and headings. Within 1-3 minutes you are able to decide whether the book is suitable for you or not. After performing the first step, the ability to read quickly will help you master information faster and better. If you previously spent one week to complete a 300-page book, then with the ability to quickly read the same book can be completed in one day. Even some of the ter-trainer can finish with completed within 1-2 hours. It is indeed a very valuable time savings. Fast read will make better comprehension. So not only do you master the material more quickly, even you can understand it better. This happens because the fast read will encourage you to focus on the issues and see more clearly the relationship between chapters, between paragraphs, and between ideas presented in the reading material. To test this you need to practice beforehand to be able to feel the difference in the level of understanding pe happens before you master the fast read with afterwards. Quantum Speed Reading Basic Training for Indonesia , Thank you Mr.Agus Setiawan and team of BacaKilat Indonesia. 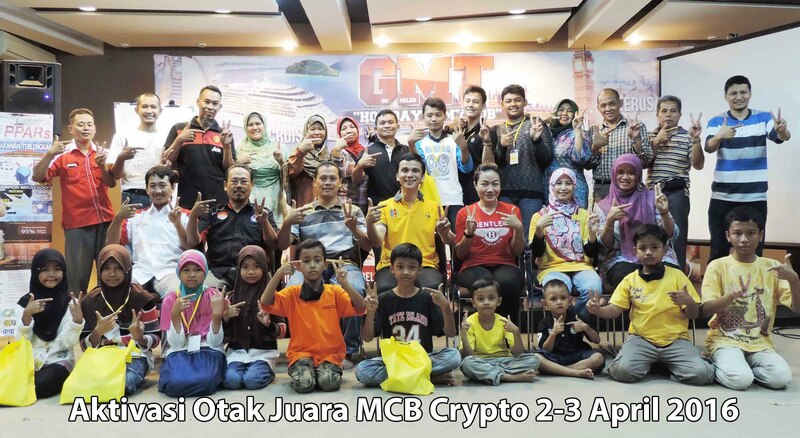 Kursus Baca Kilat di Indonesia yang sangat menarik. by BacaKilat Program dari bapak Agus Setiawan, terimakasih pak Agus. What is the importance of learning improve your reading speed ??? Reading the needs of every person, because reading will provide intelligence, wit, skill and ability to master the science, technology and science of faith and devotion to be a superior man in the field of human resources. This training will give you a speed reading technique which is very important to help you learn to read faster. This course is suitable for anyone who has a job to always read a lot of literature that is never empty. Most schools, universities now provide speed reading training programs for their students, but this program is specifically designed to help you read to the level of students and students who are required to achieve a higher understanding and the target value in their lessons. Reading speed increase reading levels word for word on the page and also improve your understanding, so that you remember more. It will help you keep reading and freeing up more time so that you have more time to do other things. Not only read faster, your skill level will also increase. You will not have a need to re-read information. Increase your reading speed will stop your mind daydreaming and help you stay focused. Speed ​​reading techniques are learned through mind mapping and restructuring your understanding to remember easily. The main result of the program reading speed is increased self-confidence and the ability to read information more quickly. Read more quickly will help you to keep up to date with the information you need. Increase reading speed by 3-5 times. Following the critical reading relevant to core business activities. Keep up to date with correspondence (including email) of various stakeholders. Increase the speed of reading time by 3-5 times. Increasing the concentration when reading material related books. Developing a mind mapping skills to help clarity of understanding. Increasing the level of understanding so that the information is stored. Improve memory and recall by applying technical reading strategies. Save time by being able to assess the relevance of the material prior to reading the whole. Reading and menelitian information on the Internet more quickly. Getting the project idea to gather information more quickly. For maximum effectiveness, this program is best done as an in-house program. 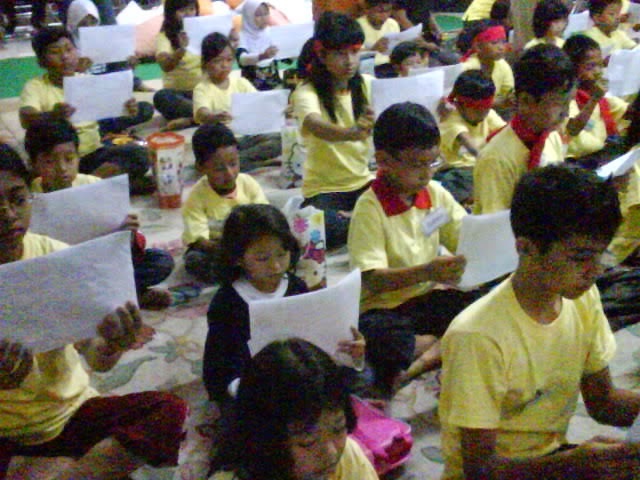 Duration: Learn to read faster with improved reading skills can be modified to fit over 8 hours. 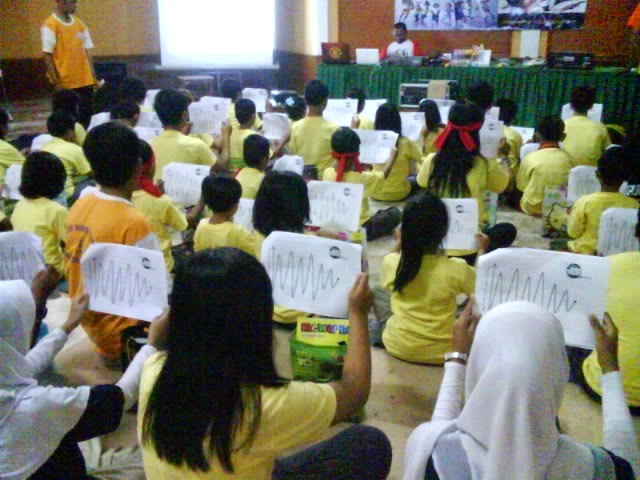 Target Participants: Students of junior high, high school and Students.